A totally delicious recipe for stuffed aubergines from leading Blogger Amuse your Bouche using KTC chickpeas, rice and pureed spinach. Quick, easy to follow and very healthy. It can also be easily adapted by running some KTC tinned tomatoes through the sauce or simply stuff peppers or tomatoes instead. Give it a try and enjoy. 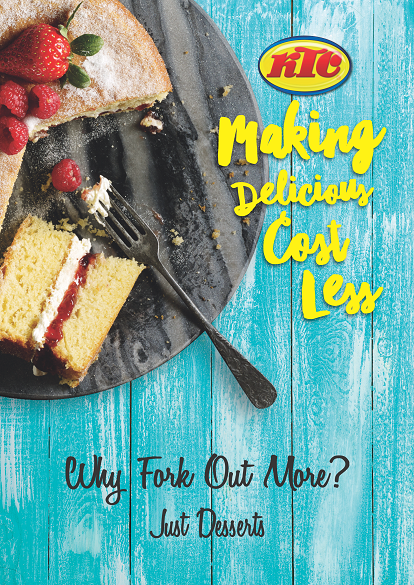 KTC is dedicated to making delicious cost less and introducing all you food lovers out there to new recipes and new ways to incorporate our quality products into your favourite dishes. KTC’s known to those who shop the world food aisles. The versatility and vast array of ingredients we offer means you can create all manner of dishes, from your favourite curry, to pasta, through to dessert. This is the first edition of our free downloadable cookbook collection which we’re producing thanks to popular demand. We hope you enjoy this collection of desserts and sweet things from around the globe. Here you can see how our oils, ghees, pulses and pasta can make sweet treats that will become firm favourites. 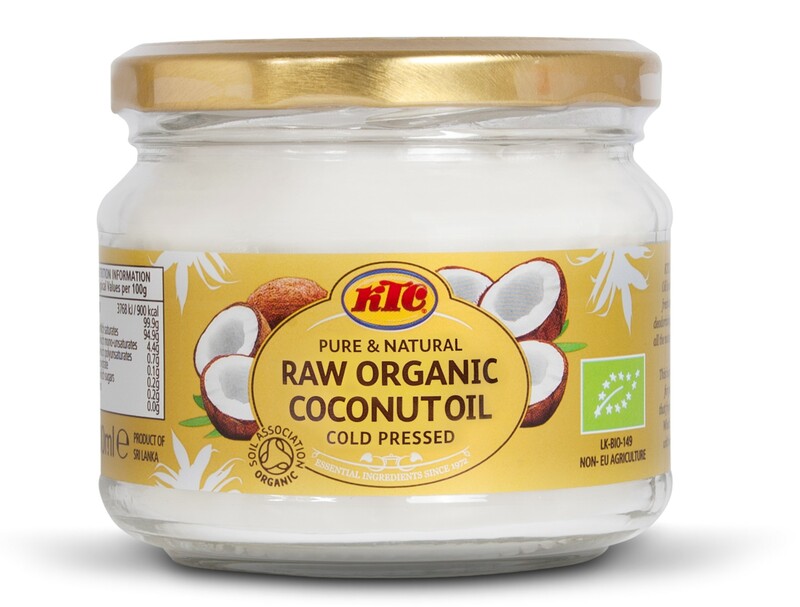 New KTC Raw Organic Coconut Oil is cold pressed from the ripe, raw coconut flesh, without refining, deodorising or hydrogenating, thus retaining all the natural purity, goodness and nutrients. A high-stability oil with a delicate coconut flavour, it’s ideal for frying, stir-frying, roasting and baking. It’s completely natural with nothing added or taken away and unlike most vegetable oils, it’s resistant to the breakdown of fatty acid chains, even at higher cooking temperatures. KTC is a family owned business and continues to go from strength to strength. Back in 1971 the company started small, providing speciality oils to the Asian community in the UK. 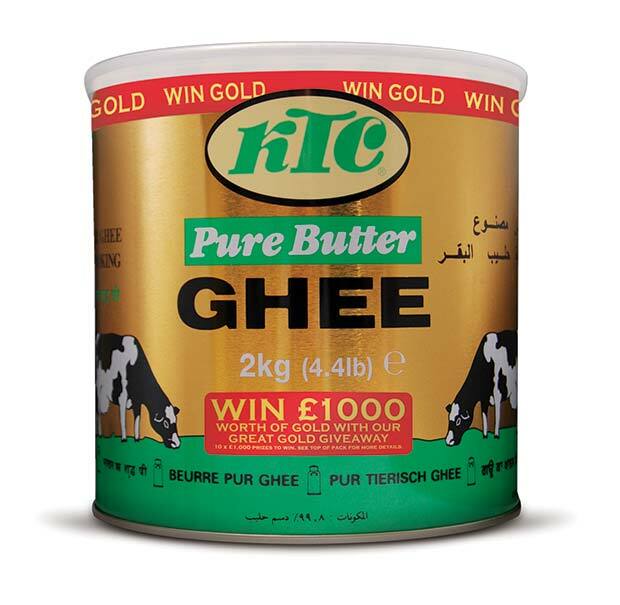 Now it’s the UK’s largest independent oil provider to the grocery and catering trades as well as supplying tomatoes, pulses, sauces, rice and flour and whole lot more. KTC has become a household name in the Asian community as well as gaining a foothold with the mainstream as people recognise quality and value. The company ethos is simple – to provide superb quality at great prices with products sourced from around the globe. Switch to cooking with coconut oil. It’s as easy as KTC. You’d have to have been living on Mars not to know that coconut oil is being hailed as a new superfood. KTC has been producing coconut oil and other coconut products for some 20 years now. Not only is it healthier, it’s inherently versatile for both cooking and baking. KTC continues to go from strength to strength. KTC import, pack and distribute a wide range of ethnic and mainstream food products to manufacturers, retailers, wholesalers and the foodservice industry throughout the UK and the world and as such having a visually appealing, concise and easy to follow brochure is crucial. KTC has flagship brands, KTC, Sea Isle and Suncrest Drinks making up the core product range as well as distributing a select range of niche food products on behalf of supplier partners from around the globe. The news is littered with headlines about meat of late. Whether it’s Cowspiracy, which blames animal agriculture for many of the world’s ills or the latest health warnings regarding processed meats and red meat. There’s also a real rise in movements like “Meat Free Monday” and with health becoming a real driving force, maybe the grocery and restaurant trade should see this as an opportunity to really get behind pulses, lentils and vegetables as alternatives to meat. Interest in world foods in the UK continues unabated. Research shows 7 out of 10 shoppers who buy from the world food aisle say they enjoy the experience, making it even more popular than the wine section. This is despite 29% of world food shoppers claiming they find the world food aisles rather confusing. Well KTC has the answer. It offers a comprehensive range of products that are clearly packaged and with great shelf stand out. It’s also a one-stop shop for category managers who can buy KTC’s vast product portfolio, Sea Isle’s popular Caribbean product range and Suncrest soft drinks, all from the same supplier – KTC.